A true champion can adapt to anything.-Floyd Mayweather, Jr. Adaptation – [ad-uh p-tey-shuh n] – usually an unconscious modification of individual and social activity in adjustment to cultural surroundings. Organisms face a succession of environmental challenges as they grow and develop and are equipped with an adaptive plasticity. So we all face challenges, and we all face the dark unknown, which is endemic to most challenges, which is what most of us fear, okay? But we all have brains that activate to allow us to navigate the journey through these challenges. Okay? We have the power to adapt. Sometimes it is a little scary or outside of our comfort zone. We face a challenge. Something happens. How we react and how we adapt is up to us. What you do next separates you from someone else. Adaptation is necessary in relationships too. A lot of us have been conditioned to think that once we find the person who we believe is perfect for us, then the hard work is over. Everything should be smooth sailing from that point on. After all, if they are perfect for us, shouldn’t everything just fall into place? But that couldn’t be further from the truth. In fact, once you find the partner you are ready to commit to, that’s when the real work begins. And any healthy relationship will require a certain amount of flexibility from each partner. Because change is inevitable. And in order for a relationship to grow and prosper, it is critical that you and your partner be able to adapt to the changes, finding your way through the good and the bad together. Sometimes adaptation leads to creativity and better solutions. Example: Kevin Systerom invented an app called Burbn, however, it was not exactly a hit with the users. The app was just too complicated. But Systrom was undaunted. He brought on another programmer and together, the pair determined that while users were not utilizing Burbn’s check-in features, they were using the app’s photo-sharing features. And after months of tweaking and experimenting, Systrom and Krieger released a pared down version of Burbn that was essentially a simple photo-sharing app. They called it Instagram. So they simplified it, made it interesting/useful/successful by adapting. Evolution is adaptation – it is a trait with a current functional role in the life of an organism that is maintained and evolved by means of natural selection. Therefore in some cases, adaptation can be do or die. If we don’t adapt and eat in a healthier manner, maybe we’ll die from heart disease or diabetes. If we don’t stop smoking, we may die earlier, right? If we don’t adapt to a compromise that works, our relationship may die. If we don’t adapt to our job or career, that opportunity may die. In the world of psychology, those who more easily adapt are typically happier. The adaptation process is a critical part of cognitive development. Through the adaptive processes of assimilation and accommodation, people are able to take in new information, form new ideas or change existing ones, and adopt new behaviors that make them better prepared to deal with the world around them. This is something that can happen unconsciously but also something we can choose to do – we can be open to other ideas, approach new things in a reasonable manner and decide if the new information might help us. http://www.npr.org/programs/ted-radio-hour/455904076/adaptation?showDate=2015-11-20 – Humans adapt to physical and creative challenges in remarkable ways. How do we do it, and what happens when we can’t? In this episode, TED speakers share inspiring stories about our capacity to adapt. It is easy to look back and focus on regrets, mistakes, and missed opportunities. However, a negative outlook on the events of the past year can set you up for failure in the next one. What if you concentrated on things from the last 12 months that you can be grateful for instead? You would be amazed at how it might change your whole perspective. Being grateful may not come naturally to you. Some people have to make a conscious effort. It means pausing in the middle of a hectic life and giving thanks, verbally, internally, or even on paper, for the good things. It can be something big like your health, the love of a spouse or partner, or a fulfilling job. But it can also be the little things. A sunset, a song on the radio, a green light… you would be amazed by the positive energy you create in your mind from being grateful about a small thing that you would normally ignore or overlook altogether. Many studies have shown that making even a little effort on a daily basis can perpetuate positivity. A 2003 study that compared two groups, one that kept track weekly of things they were grateful for with one that only listed the things that bothered them, revealed that after 10 weeks, the first group enjoyed significantly greater life satisfaction than the other. So how can you integrate gratefulness more into your daily life? First, start with the voice in your head. Make sure at least once a day you hear it say, “I’m grateful for…” no matter how big or small it is. Next, try on a weekly basis to write an email or letter to a friend, co-worker, or family member, thanking them for their help or generosity. Finally, you can simply say “thank you” to everyone! Whether it’s the barista, the bus driver, or the bagger at the supermarket, expressing your gratefulness with those simple two words is a great way to pay it forward – and put proven power into your own life. When the winter weather descends upon us, it’s easy to skimp on our workouts. And who can blame us? It’s colder. It gets darker earlier. We’re wearing more clothing than usual. And it’s so tempting to forgo working out in favor of staying bundled up on the couch with a good book. But the winter is also the most important time to get your sweat on. For one thing, carb cravings skyrocket when the days get shorter. Diminished sunlight during the season makes serotonin — the mood-enhancing chemical — in the brain less active. A shortage of serotonin can leave you feeling tired and hungry, which can trigger cravings for comforting carbohydrates. Judith Wurtman, PhD, a former scientist at MIT and co-author of TheSerotonin PowerDiet found that carb-cravers with seasonal affective disorder may consume an additional 800 calories or more a day due to their increased cravings for carbohydrates. Another study from the University of Colorado surveyed a group of 12 women and six men, and examined the changes in their production of ATLPL, a chemical that promotes fat storage, over the summer and the winter. The researchers found that ATLPL production almost doubled during the winter, and dropped during the summer. Exercise has been shown to combat these wintertime woes. Numerous studies have linked physical activity with an increase of serotonin production and release. Aerobic exercises, in particular are the most likely to boost serotonin. Scientists have also found that exercise may increase SMLPL, the muscle enzyme that promotes the burning of fat, to offset the fat-promoting effects of ATLPL. And this is on top of exercise’s role in disease prevention, the quality of sleep we get, our energy levels, our sexual drive, and of course, our health. If you’re growing weary of the same gym routine, consider joining a local recreational sports league. Cities across the nation offer a variety of men’s, women’s and coed leagues for every season, including volleyball, basketball, softball or even dodgeball. Whether you’re a former college athlete or a relative newcomer, there’s something for everyone. And by joining one of these leagues, not only will you get a great workout, you’ll expand your social network at the same time. Sometimes the challenge isn’t the workout itself, it’s starting it in the first place. That’s why a healthy sense of accountability can help give you the motivation you need to make the decision to say “yes!” Try recruiting a workout buddy, joining a running group or logging your workouts in a public setting (maybe even on social media if you are brave enough). And forget those daily weigh-ins on the scale, the number can be deceiving since muscle weighs more than fat. Instead, try taking a photo of yourself every week and tracking your progress in a special album on your smartphone. Another ideas is to choose a training program that you must follow along in order to reach your goal. Trying something new can bring excitement back to your workout routine and give you a fresh perspective. Kettlebell, pilates megaformer, hot yoga, boxing — there is a world of fitness to discover that will help you develop new skills, new muscles and meet new people in a new environment. And that can go a long way towards making exercise part of your daily lifestyle. Start documenting your resting heart rate, blood pressure, weight, percent body fat, and/or circumference measurements to help track your progress over the winter. Seeing change is motivating, particularly as you monitor how your resting heart rate and blood pressure become lower the more in shape you get. Also take into account how your clothes are fitting, how well you are sleeping, and how much energy you have throughout the day. Start with short-term goals for every week — how many miles you want to run, the number of workouts you want to complete. Then progress to longer range goals — a certain resting heart rate or completing a half marathon. Make sure the goals you set are realistic so you can adapt your life accordingly. And always be sure to remind yourself that you are setting goals so you can make your health and your well-being a priority. More than 17 million Americans reported last year that their identity had been stolen. That’s 7 percent of the nation’s adult population. Complicated passwords and aggressive virus protection are no longer enough to protect consumers. Security breaches at Target, JPMorgan Chase and the U.S. Office of Personnel Management have resulted in the theft of billions of personal records, including fingerprints. Electronic medical records are also being hacked. Diane and guests discuss how to make yourself less vulnerable to hackers and what do to if your sensitive data is stolen. Jim Crowell chief, U.S. Attorney’s Office Criminal Division for the state of Maryland. You always have two choices: your commitment versus your fear.-Sammy Davis, Jr. In a relationship, marriage, etc., commitment means staying engaged in the relationship even when there are problems….not running away. Every relationship is different, and so are the people. There are challenges. We each have our own point of views. When there is a disagreement, when there is a lack of interest, lack of communication, financial problems, people get ‘bored’, people grow apart – many people then decide that it is time to end the relationship. Sometimes with good reason. Other people feel that being committed to a relationship means that they stay and work things out – they improve the level of interest and engagement with each other, they listen to the other person and compromise, they talk more about money and try to improve finances, they work on making the relationship new and stronger, etc. etc. Good things are often not easy and require effort. Relationships can be hard but they can also be rewarding. Being committed to a relationship means that you actually have to put time and effort into the relationship, you have to work at it. A wise clergy man once said to me that, in his opinion, the only reasons that he thought were excuses not to be committed were the three A’s – Adultery, Abuse, Addiction. If someone commits adultery, they chose to break their commitment first and that sort of thing can immediately ruin a relationship. Abuse of one mate by the other is not acceptable and reason for departure. Addiction is a little different if someone is trying to recover, but if one mate is trying to help the other recover from addiction but they don’t want to help themselves, then it may be reasonable to depart the relationship. Commitment in life is also important. Simply put, when you commit, you keep working at it until you accomplish it, despite the challenges, distractions, period of time, hurdles, or other things that get in your way, including excuses. We’ve all wanted to accomplish something; start a business, reach an athletic or physical goal (run a marathon, etc. ), write a book, learn to play the guitar, volunteer at that charity, whatever. Yet we didn’t….because we really weren’t committed. We had other excuses like; it was just a busy time, I have so much work to do, I had to pick up the kids, etc. etc. I do it too – we make excuses and really don’t commit to the task. Other times we have committed and succeeded at sometime despite obstacles. What was the difference? John Grisham used to get up very early and write his first books on a small card table in the laundry room before going to his job at a law firm, countless people get up early and run many miles in order to train for marathons each day, people take time to volunteer despite having a family and job – in other words, it is a decision and discipline to commit more than anything else. Anyone can do it. You can be committed to excellence. This doesn’t mean that everything is perfect but you can strive to put in more effort, raise your expectations, offer a better solution, cover all the details, and improve on what you’ve always done – in school, work, relationships, and in life. Like a relationship or life school or work, there are those that just go through the motions and there are those that really focus on what they can do for the moment and how they can do their best in that moment, despite the distractions and despite the chance to do a half-baked job. Often that commitment to just a little more effort pays off big. We’ve all done some great things in life – when was the last time you were committed to a project or relationship? We all are capable of being committed. When was the last time you were great in a relationship? When was the last time that you were committed to a project of some kind, big or small? What did you do? How did you act differently? How was that different from when you just went through the motions? Focus on those successes and moments of true commitment, however big or small. Tony Robbins is 55, but if you see him on stage or even have a casual conversation with him, you’ll see he has more energy than most 20-somethings. Robbins is not only the personal performance coach of business leaders like Salesforce CEO Marc Benioff and hedge fund manager Paul Tudor Jones, he’s the head of a conglomerate of companies and the main attraction for long, incredibly lively seminars that he has relentlessly given around the world for the past 30 years. He told Business Insider that he wasn’t born a naturally energetic person, that he gets little sleep when he’s on tour, and that he doesn’t take stimulants for a boost. Instead, he’s developed strict habits around diet, exercise, stress management, and the approach to his work. We’ll explain below how one of the world’s greatest distance runners, an 85-year-old Catholic nun triathlete, cryotherapy, and a strange anxiety-reducing headset have contributed to Robbins’ seemingly limitless energy. Robbins said that he struggled with his weight as a kid, so he embraced working out in his early 20s to boost his confidence. After some time, he was able to get washboard abs, which he thought was incredibly cool — but his flexibility was terrible and he had no muscle balance. He decided that rather than being motivated by vanity, he wanted to prioritize energy supply above all else. He learned about Stu Mittleman, an American who set three consecutive records for the American 100-Mile Road Race from 1980 to 1982, and then in 1986 set another world record in the 1,000-Mile World Championship when he ran that distance in just over 11 days, running 21 hours straight each day. Robbins said he had no desire to run such an absurd amount, but he adopted Mittleman’s approach to exercising “slowly” in order to maximize fat burn. 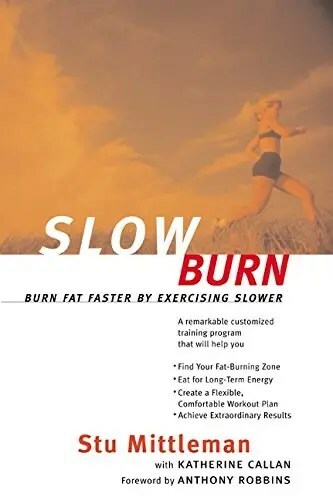 In his book “Slow Burn,” Mittleman argues that the ordinary person exercises quickly and intensely, which results in feelings of nausea and pain, but that is not the way to build the most efficient system of energy consumption. To train like Mittleman, you should maintain a comfortable pace when running and keep your heart rate at a steady level when doing other exercises. A way to think of it is never exerting yourself beyond a difficulty level of 7/10. He doesn’t worry about age. Robbins started to doubt himself. But, being Tony Robbins, he decided to seek out the world’s oldest extreme athletes and figure out their secrets. One of the people he met with was Catholic nun, Sister Madonna Buder. Now 85, she is a member of the Triathlon Hall of Fame and has completed 45 Ironman races and more than 350 triathlons. She was not remotely an athlete for the first half of her life, and only began her athletic career at 40 after a priest recommended running as a spiritual exercise. And that’s what Robbins found most remarkable. In her book “The Grace to Race,” Buder explains that she never considered her age to be an impediment to her athletic progress, and that she has been driven by the spiritually uplifting nature of pushing herself physically. He uses blood tests to tailor his diet. Robbins also found nearly all of the exceptional athletes over 65 he interviewed paid careful attention to their nutrient levels through blood tests. It inspired Robbins to start getting a blood test every six months rather than annually, and to use the results as a guide to adapt his diet to whatever nutrients he had too much or too little of. Robbins said he keeps his diet pretty basic, with a focus on green vegetables and fish. He doesn’t consume caffeine, alcohol, nicotine, or recreational drugs because he said he wants to keep himself conditioned the same way a professional athlete does. He uses a strange anti-anxiety contraption. Robbins is also a fan of the NuCalm system. A neuroscientist named Dr. Blake Holloway designed the device as a way to treat patients with post-traumatic stress disorder, but found that he actually had a market with dental patients who suffered from intense anxiety while in the dentist’s chair. The system includes headphones that play relaxing music, light-blocking glasses, mild electric nodes for the throat, and a GABBA amino acid supplement. It looks like something you would buy at a magic shop, but besides dentists, it’s also used by the Chicago Blackhawks NHL team and has been deemed effective at enabling patients to enter a deeply meditative state by Dr. Chung-Kang Peng, co-director of the Rey Institute at Beth Israel Deaconess Medical Center/Harvard Medical School. When we recently spoke with Robbins, he said that in the previous day’s media circuit, he had just a half-hour window of free time, and he chose to use the NuCalm system for 20 of those minutes and felt rejuvenated. The main takeaway: If you can find a way to enter a deep meditative state for 20 minutes, your body may feel refreshed and rid of debilitating stress. He has an intense morning routine. Robbins also has a morning routine that he makes at least 10 minutes for. If he’s at one of his several homes around the world, he’ll start off the day by immersing himself in one of his cold-plunge pools for one minute or spending three minutes in a full-body cryotherapy tank. When the body’s external temperature drops drastically and suddenly in this way, inflammation decreases and the brain experiences a rush of endorphins. Then he does his “priming” ritual, which consists of three minutes of a deep-breathing exercise, three minutes of expressing gratitude for three specific things in his life, and three minutes seeking strength and wishing good things for his family, friends, and clients. “Energy is life,” he said.